OSRAM has developed special Human Centric Lighting solutions for modern office lighting using artificial light and natural light. All products not only comply with high photometric requirements and therefore the latest standards, but are also extremely dependable and durable. Such are the high quality standards of OSRAM. High quality, attractive designs as well as diverse mounting and installation options enable the harmonious integration into almost any office surroundings. 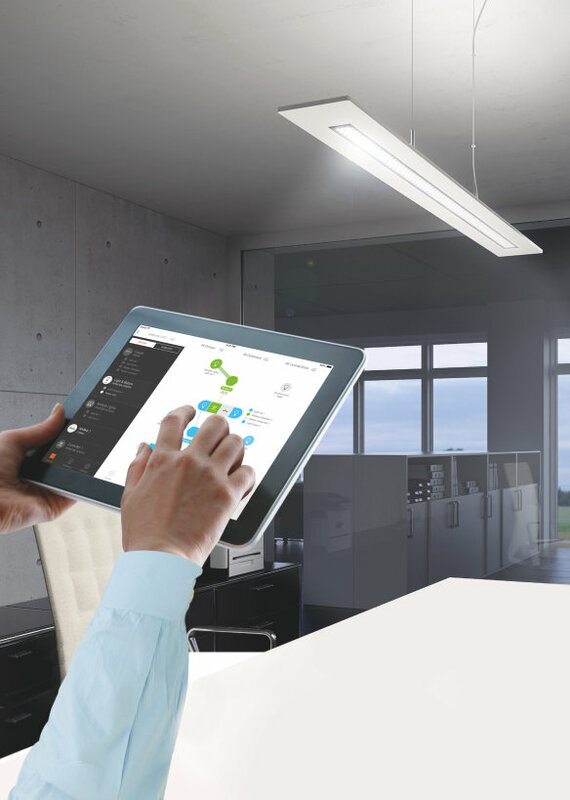 OSRAM offers a wide variety of DALI-based light control systems with suitable sensor technology, and thanks to open, non-proprietary standards, such solutions can be simply integrated into common building management systems. Luminous flux tracking, motion detection and control depending on movement and daylight can be implemented. White or coloured light that changes its colour, direction or intensity is especially eye-catching and effective. Traxon Technologies is the brand for dynamic LED lighting solutions and has been implementing professional, creative and decorative lighting projects for many years – both indoors and outdoors.